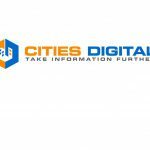 The APX® Integration by Cities Digital allows for easy interaction between the APX® CRM and Laserfiche®. Users are able to easily access documentation for the corresponding Users, Activities and Contacts in APX using Laserfiche® Web Access or WebLink from within the CRM. 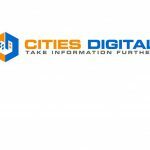 The APX® Integration by Cities Digital allows for easy interaction with Laserfiche® documentation from the CRM interface. The Laserfiche® tab is located within the entity view which can be integrated with Users, Activities, and Contacts. For these entity types, the iFrame is inserted into the APX® dashboard for access within the APX® CRM. This Integration utilizes Laserfiche® Web Access functionality to upload or scan in documents, export electronic files and briefcases, create files and folders, and edit template data. Alternatively, Laserfiche® WebLink can be used for viewing documents in read-only. The Administration Configuration Page allows for mapping between Laserfiche® template fields and CRM entity attributes to optimize searching within Laserfiche®. In the case where a folder structure does not yet exist in the repository, there is the option to upload Laserfiche® briefcases for each entity type per the Users, Activities, and Contacts. A configuration page for administrators to map CRM attributes to Laserfiche® Template Fields to optimize searching. Full access interaction with respective User, Activities and Contacts documentation. Laserfiche® Web Access functionality for document interaction or Laserfiche® WebLink compatibility for read-only viewing. A full Laserfiche® License is required.